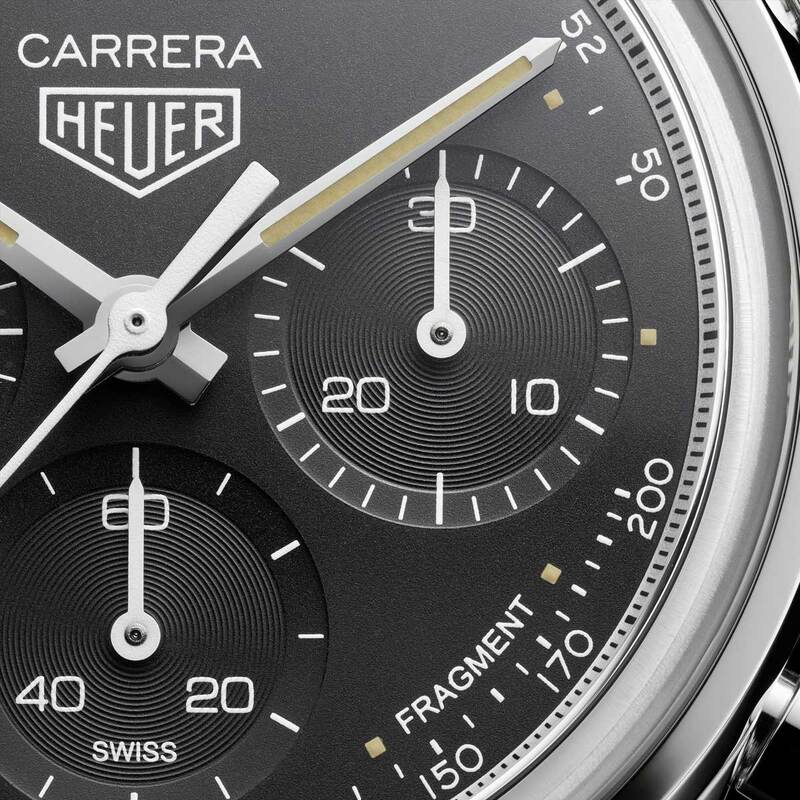 TAG Heuer launched a reinterpretation of its iconic Carrera chronograph as imagined by the Japanese designer Hiroshi Fujiwara, the founder of the innovative label Fragment. 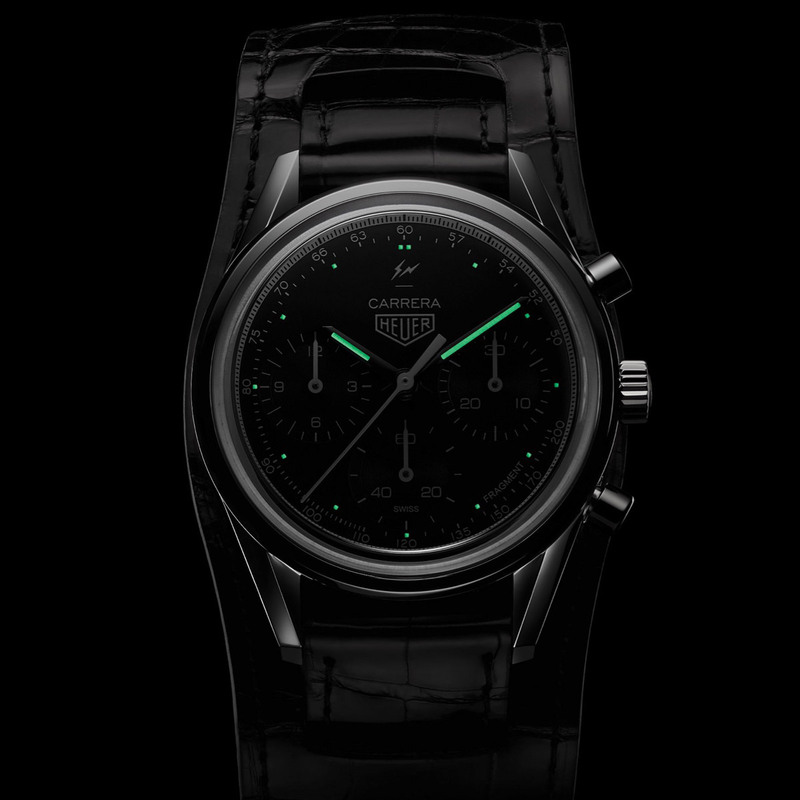 The new Carrera Heuer 02 Fragment Special Edition comes in a stainless steel round case with a diameter of 39 mm that will make the many lovers of this classic size happy. It offers water resistance to 100 metres / 330 feet. Protected by a glassbox anti-reflective sapphire crystal, the black dial reprises the original 3-6-9 counter layout from 1963: chronograph minutes and hours at 3 o'clock and 9 o'clock, permanent small second at 6 o'clock. 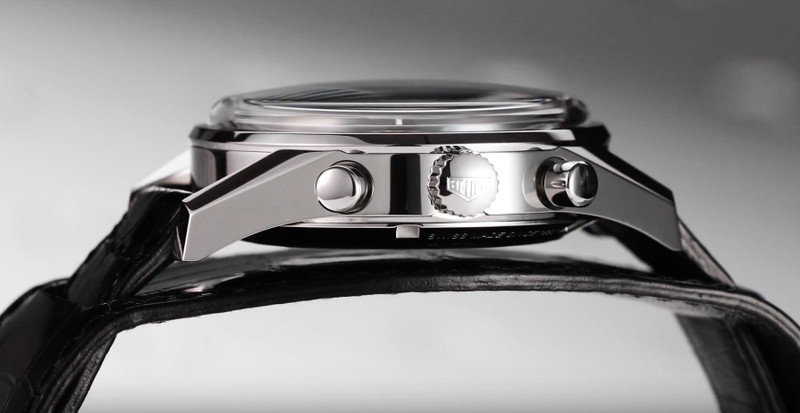 Punctuated with luminescent hands and markers, the dial is enriched by Fujiwara special decorations, the Fragment text at 4:30 and the twin lighting bolt logo at 12 o’clock. 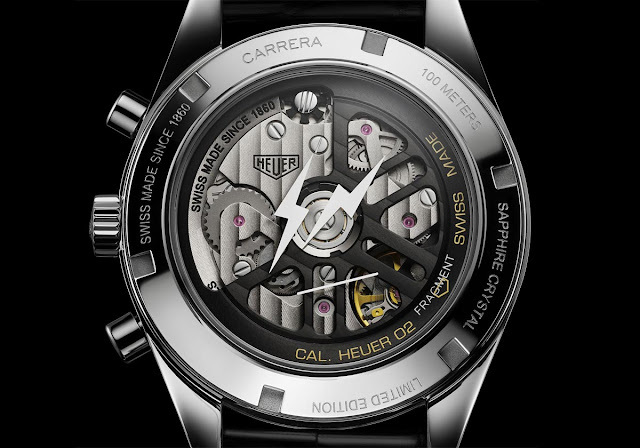 Also featuring the Fragment lighting bolt logo, the sapphire display back showcases the in-house designed TAG Heuer caliber 02 incorporating 168 components, including a column wheel and a vertical clutch. Oscillating at a frequency of 4 Hz (28,800 vph) and guaranteeing 75 hours of power reserve stored in a singe barrel, this movement is for the first time encased in a classic Carrera model after being developed for the sportier Carrera Heuer 02 models. 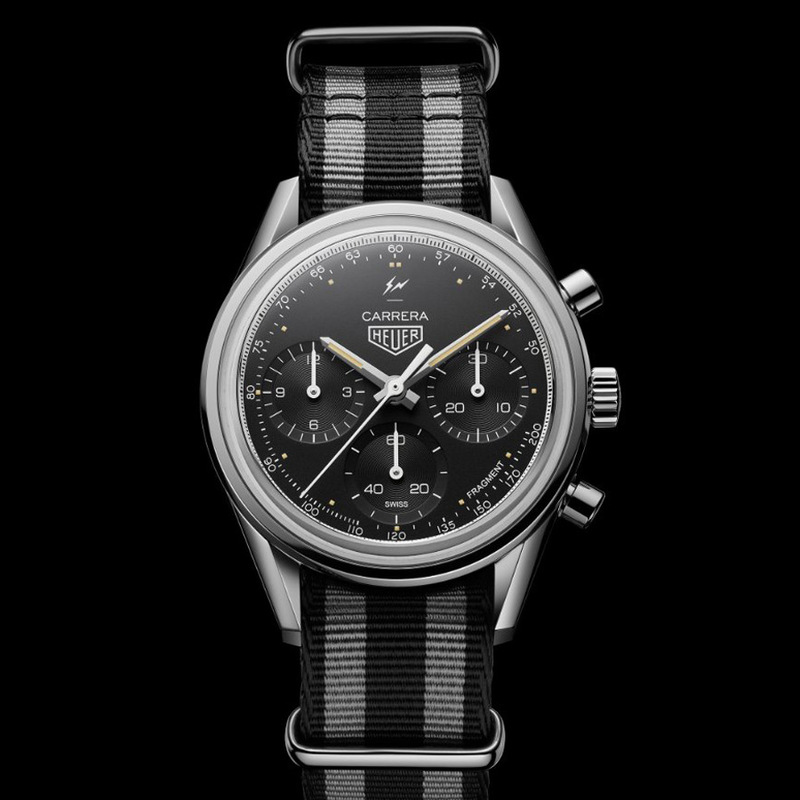 TAG Heuer Carrera Fragment. TAG Heuer launched a reinterpretation of its iconic Carrera chronograph as imagined by the Japanese designer Hiroshi Fujiwara, the founder of the label Fragment. 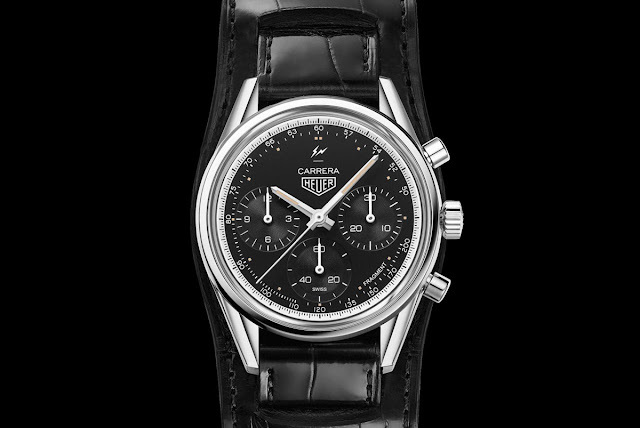 Limited to 500 pieces, the TAG Heuer Carrera Heuer 02 Fragment Special Edition (ref. 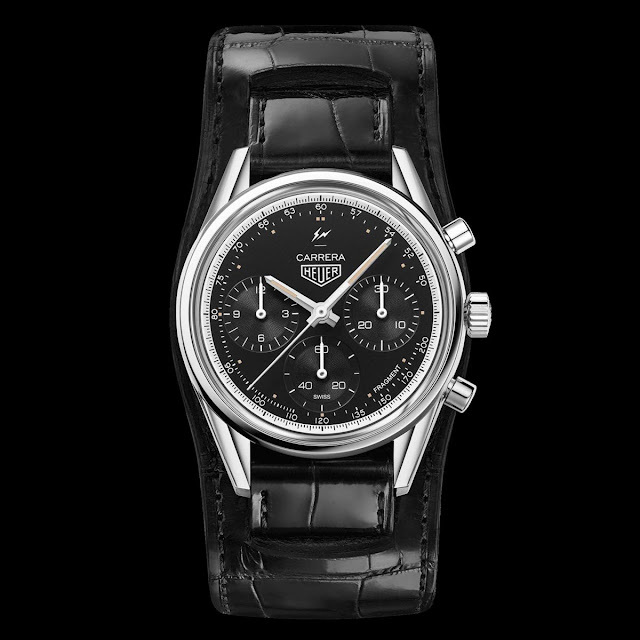 CBK221A.EB0171) has a price of Swiss Francs 7,900.